The death of a sibling can be a difficult and confusing experience. For some, it’s like losing a piece of them, or losing a shadow. For others, it’s a sign of their own mortality. Some see the death of a sibling as breaking a connection to their past, while others suffer grief and loss over the fact that they have lost an opportunity to become closer in the future. It would not be uncommon to begin by talking about the fact that when you were kids, you frequently battled and bickered. In fact, it brings some reality to the situation since this is just the natural order of things. And adults, sometimes we still clash with our siblings and can even lose touch. However, for most, our relationships with our brothers and sisters can intensify as we age and mature. In many ways, our siblings are the only other people who experienced the same things we did growing up. In fact, it is very common that from growing up in the same family you carry similar characteristics. 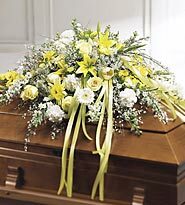 However, no matter what you’re feeling, if you feel compelled or if you are asked to eulogize your brother or sister, this funeral eulogy can take many forms. You can use it as a chance to share family stories – funny or serious. You can use it as an opportunity to share your true and innermost feelings about your brother or sister with the world. And, you can take this chance to make everyone aware of how special your sibling was to you and others he/she touched. Describe a humorous fight or moment between you and your brother as children, such as a tussle over a favorite toy, or jealousy over who got the bigger piece of cake. You can also describe a time when your brother showed you some kindness or compassion that stood out and showed the type of person they really were. You can describe a time in your life when saw your brother emerged to become a special person, such as after a marriage or birth of a child. Consider seizing the opportunity to discuss your brother’s adult life as a husband, a father, a soldier, or a professional. Finally, consider naming ways in which you and your brother were alike, how you bonded together, and even use examples. Share a story from your childhood, whether funny or serious. You can also describe a time when, as children, your sister showed you some kindness or did kind and generous things. You can share stories about your adult lives, which can also be humorous or serious. Be sure to list her accomplishments including her family, charitable contributions, career, interests, etc. Finally, consider describing some of the things you both had in common, as well as some of the positive influences your sister had on you and others.